We are an authorized repair store for Lionel and MTH trains. We rebuild, recondition and provide general maintenance for old and newer transformers. We are one of the largest O gauge stores in the United States. We also continue to grow our other product lines and ask you to stop in regularly and see all we have added. We are able to track your purchases in case you can't remember what you bought. Ask us and we can look it up for you. Make sure when you check out to have the sales rep put your name in our computer. We have all our products in a system allowing us to find the products you are looking for faster. If you do not see what you are looking for, ask a sales associate to assist you in your search. Our ever growing stock is out on display and able to be seen in the store. No sorting through boxes and boxes of stuff to find what you are looking for. We can and will order products for customers. We ship all over the world and only charge what UPS or USPS charges us. We are able to track your purchases in case you can't remember what you bought. We can look it up for you. Make sure when you check out to have the sales rep put your name in our computer. Rocky Lane has been the owner of Dixie Union Station for over 15 years. 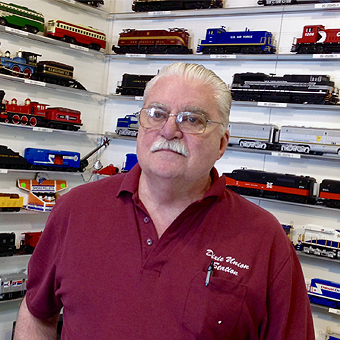 With his love of model trains, he constantly works to expand store and inventory to meet the needs of all the model railroad hobbyist. He strives to offer a wide variety of stock, including scenery, buildings, layout ideas, all for the collector and customers. Thru the years and the volume of inventory, he has kept costs down, which enables him to pass the savings on to his customers. 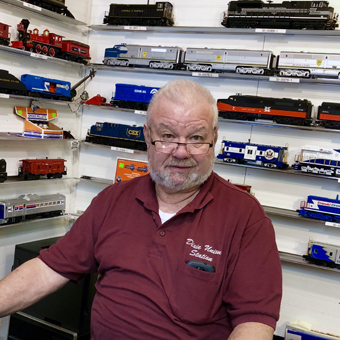 Dixie Union Station has grown from its roots at 110 West Main Street to 110 and 112 West Main Street, offering an entire building of model trains and a variety of model train-related inventory. Rocky has one of the largest displays of trains and inventory that is on the display racks. 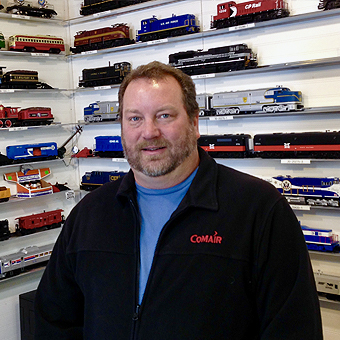 Jim Mall enjoys train collecting as a hobby and keeps current with the trends in the model train industry. His ideas keep us up to date with train changes each year. His visits always provide a great way to add and change your layout with the newest in model trains. 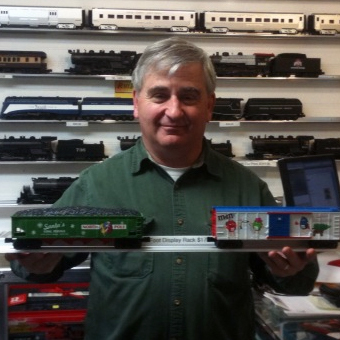 Randy Neeley has a large collection of trains that has become his hobby after retiring from CSX railroad. With actual CSX history, Randy has a great knowledge of how to design authentic layouts. Randy and his CSX experience always offer great stories and ideas when he visits the store. Mike Keslosky has been a long-time train enthusiast for many years. Most of you have seen him at the Holiday Train Shows in our Dixie Union Station booth. Mike is a retired P&G executive that enjoys racing his Porsche in between visiting at the train store. © 2018 Dixie Union Station. All Rights Reserved.